Home Travel & Living Holidays & Outings What are the strategies to plan a family-friendly holiday? If you’re planning a getaway with your young kids, then you’ll want to make sure the holiday is as family friendly as possible for everyone to have a good time. You may think that it’s easy to plan something for your kids, but it can be much harder than you think. 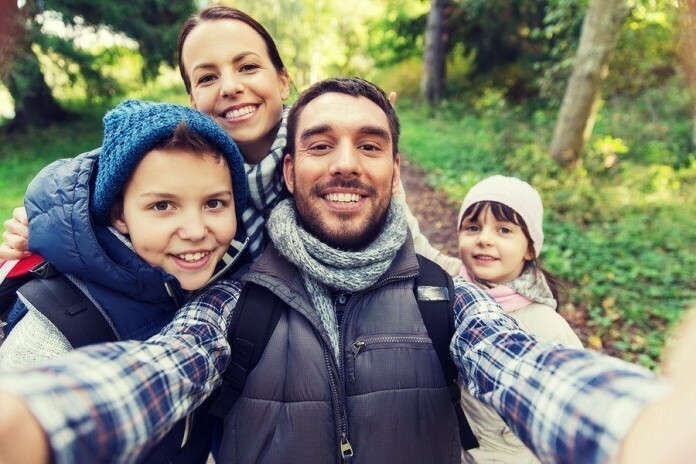 Follow these winning strategies to plan a family-friendly holiday. Plan how much you want to spend on each meal and research restaurants/cafes in the area that fit into your budget. Book activities in advance so that you don’t end up overspending when you reach the destination – online deals tend to offer significant savings in comparison to booking on the day. Group or family discounts may be available so check with the operators before making any bookings. Work out expenses like petrol, taxis, car rentals and other transport options so that you know how much you’re spending – explore alternatives like public buses or trains to bring down your costs. Creating a budget for your vacation will help you be more prudent with your spending. Despite the planning, it’s nearly impossible to always stick to the budget you’ve set so keep a contingency fund that you can dip into just in case things turn out to be more expensive than you originally anticipated. Know what your kids enjoy doing the most – Choose a location based on their interests like swimming, beaches and hiking. Ask your kids what they want from their holiday – Knowing what your kids want will help you better plan the getaway. Offer different options and let them choose – Narrow down on a few options and offer them to your kids to let them choose. When you take the time to involve your kids in the planning, you’ll find them much more enthusiastic and eager to make the holiday a success. It also shows them that you care about and respect their opinions when planning your family vacation together. Look for accommodation with interconnecting rooms, so you have the convenience of putting your kids to bed near you without them being in the same room as you. Look for accommodation with options like swimming pools, play areas and babysitting clubs so that you can explore some adult activities on your own. Choose accommodation that offers meals for kids so that you don’t always have to look elsewhere for meals. The right accommodation is just as important as choosing the right location when you take your family on a holiday. Do you need a cot or bottle sanitiser for your toddler? Check whether there is a microwave to ensure you can heat things like food and milk for your kids? Does the place have a medical facility close by in case your children are prone to certain allergies or illnesses? Can you get access to certain types of foods for your children with ease? Every family has different prerequisites based on their kids, so take the time to consider how you can make these special need requests in advance to eliminate any surprises when you get there. Taking your family on holiday doesn’t have to be stressful, especially if you plan well in advance and consider your specific needs. While you’ve probably lived carefree younger days, good planning goes a long way in making your family vacation successful.